After 10 days spent at the snow in Niseko where we mostly met Australian and Chinese people (Not quite the culture shock we were expecting going to Japan!) 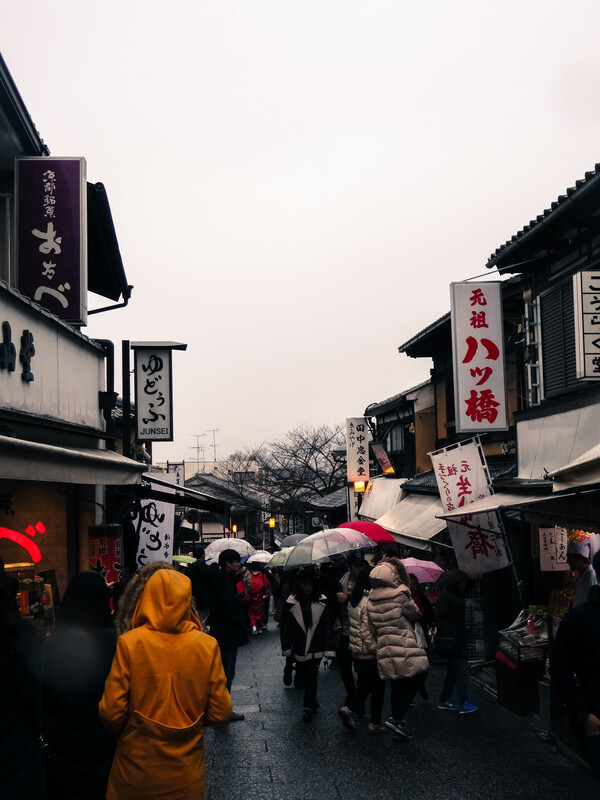 , it was time to head off to the traditional Kyoto and discover what traditional Japan had to offer. We've started the day taking a bus from Niseko to Sapporo Airport for 2,5 hours, then a 2 hours' flight from Sapporo to Osaka and then finally the train to Kyoto. 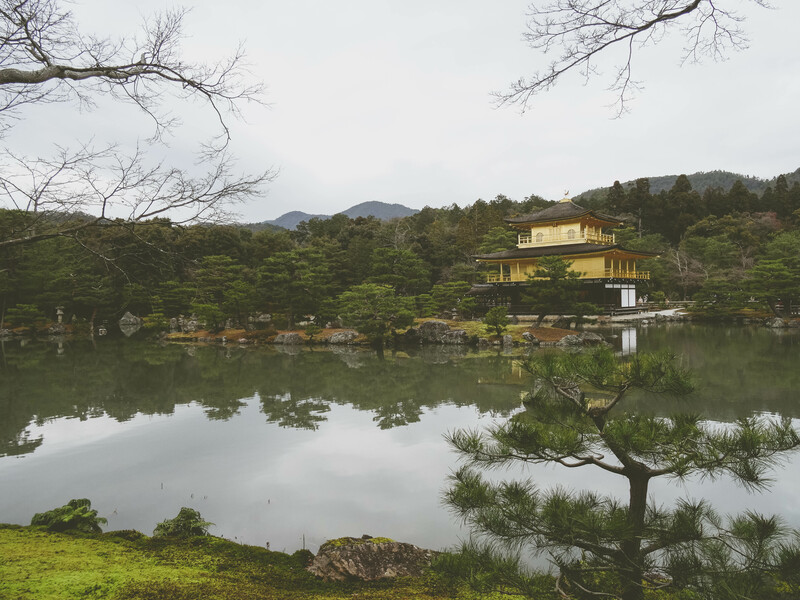 Kyoto used to be the imperial capital city of Japan for almost a century, until 1868 when Tokyo took over the title. 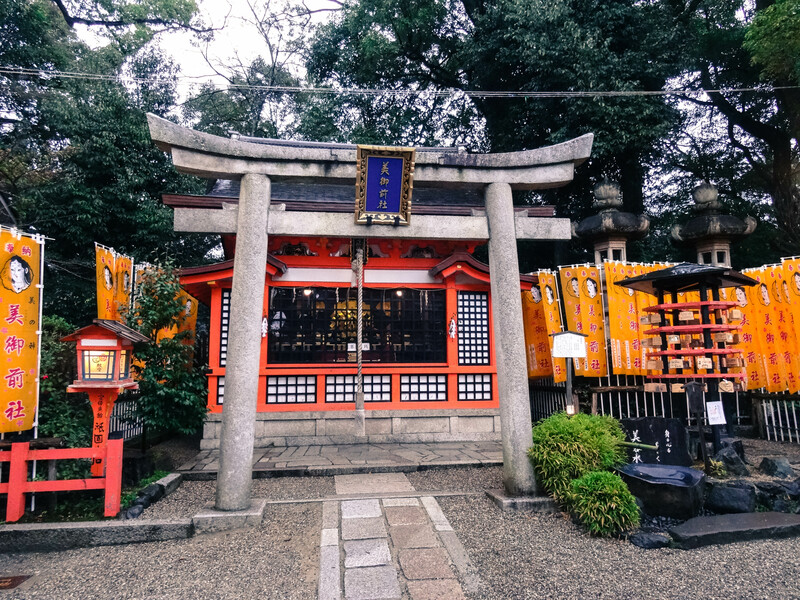 Most of its traditional edifices have been preserved as Kyoto is not subject to as powerful earthquakes as other part of Japan and has not been bombarded during WWII. 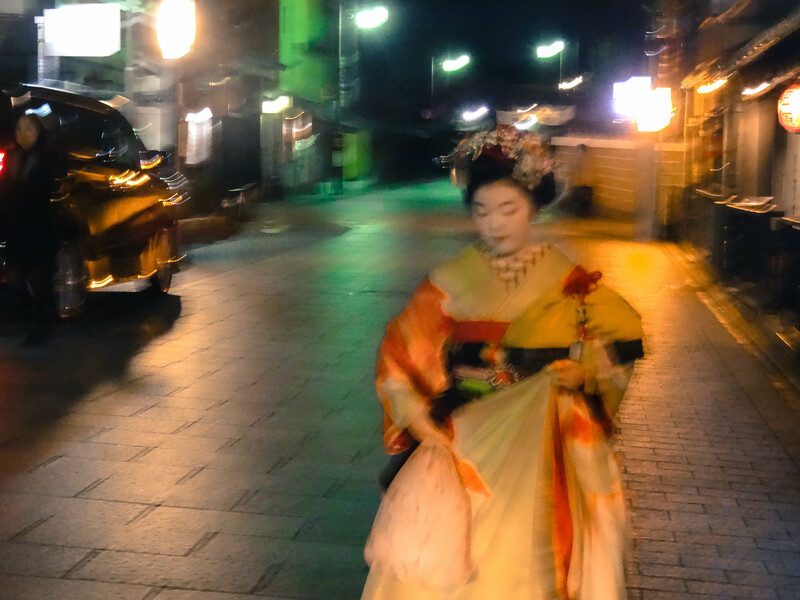 After a long day on the road we arrived at night in Gion- the famous Geisha District. 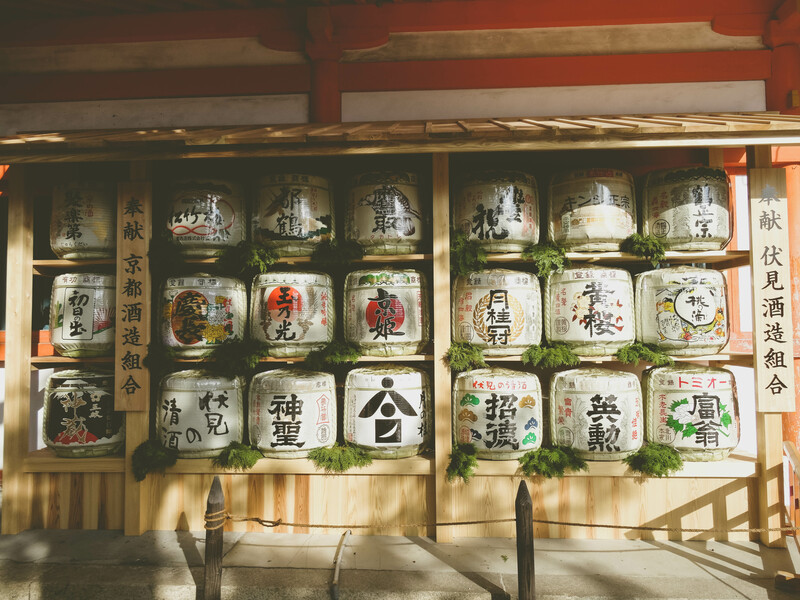 Cedric and I are still arguing about what a Geisha (or Geiko in Japanese) is (he has an interesting theory about this, ask him if you want to hear it!). 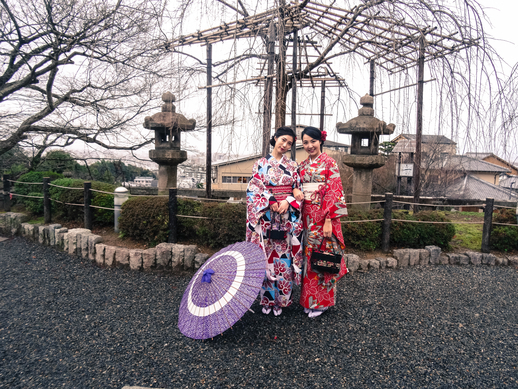 Internet referring to Geisha as “female entertainers for men performing various forms of arts who act as hostesses”, I leave you and your imagination to decide what a Geisha is. One thing is for sure, they still fascinate me and I’m really happy we’ve been able to catch a glimpse of one of them by a cold December night. 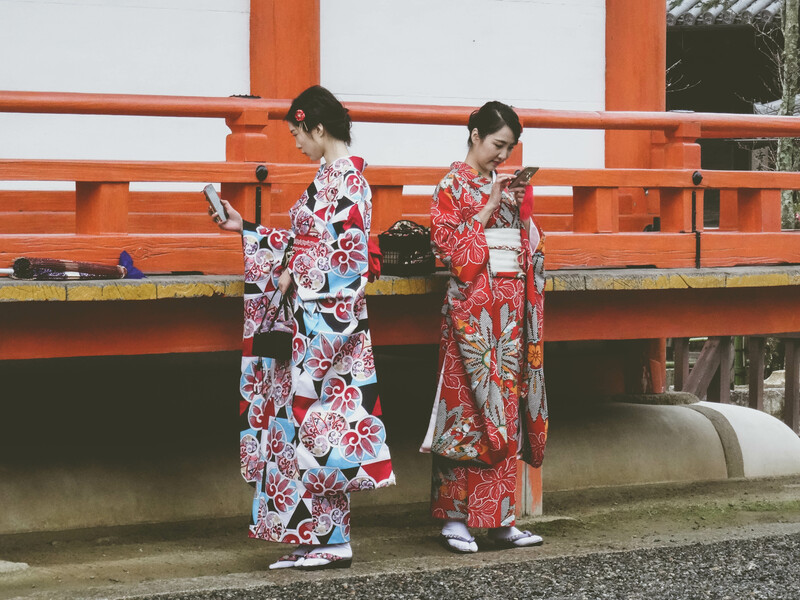 It’s pretty easy to get around in Kyoto as the city offers a good network of Public Transport. 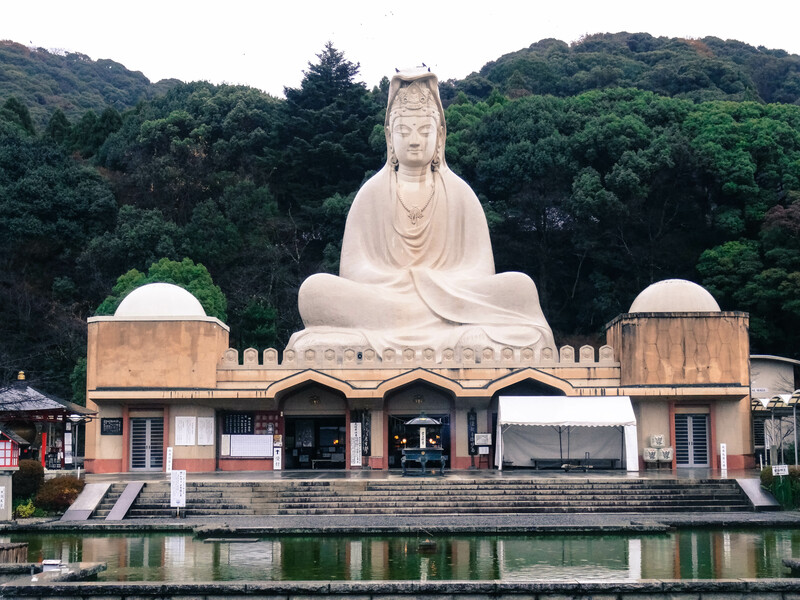 We’ve spent 3 days walking around from temple to temple and discovering Buddhism and Shintoism. 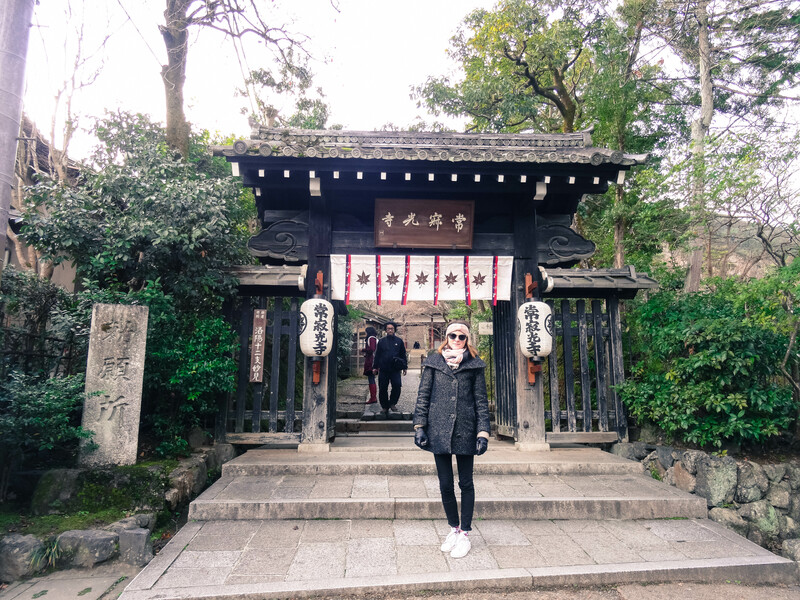 We’ve then headed off to Kiyomizudera- a UNESCO world heritage sites. I could quickly understand why it’s part of the list. 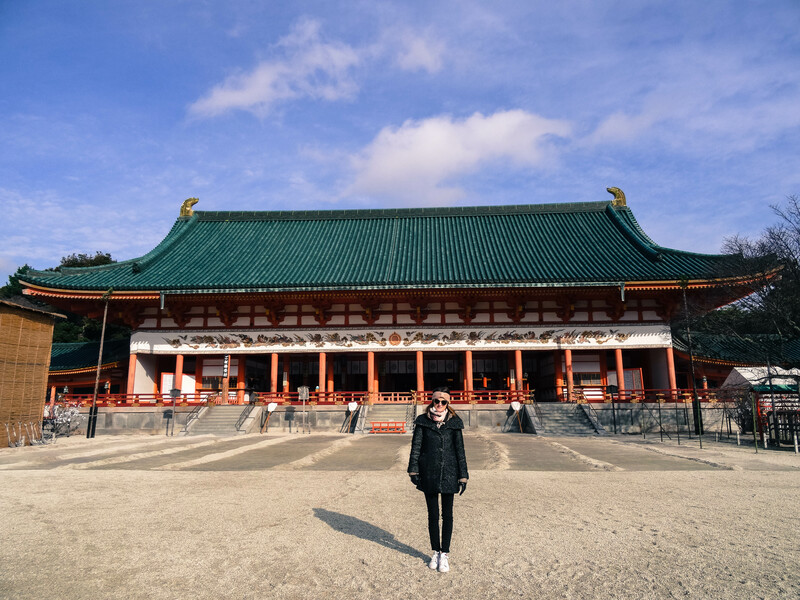 The main building was made with wood in 708 and sit quite impressively at 13m high, among the trees which would have amazing colours during Fall and Spring. 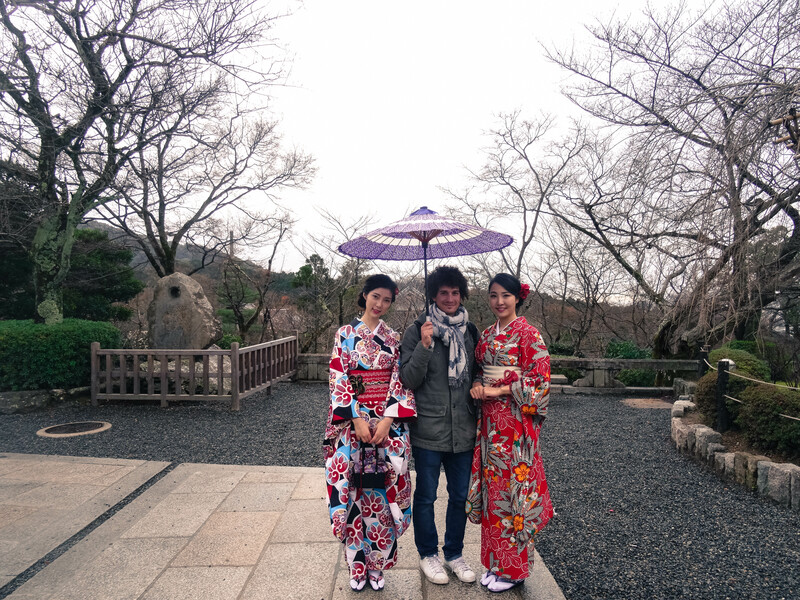 Well it was a bit too busy on that day for us as we were followed by hundreds of Asian tourists wearing Kimonos. 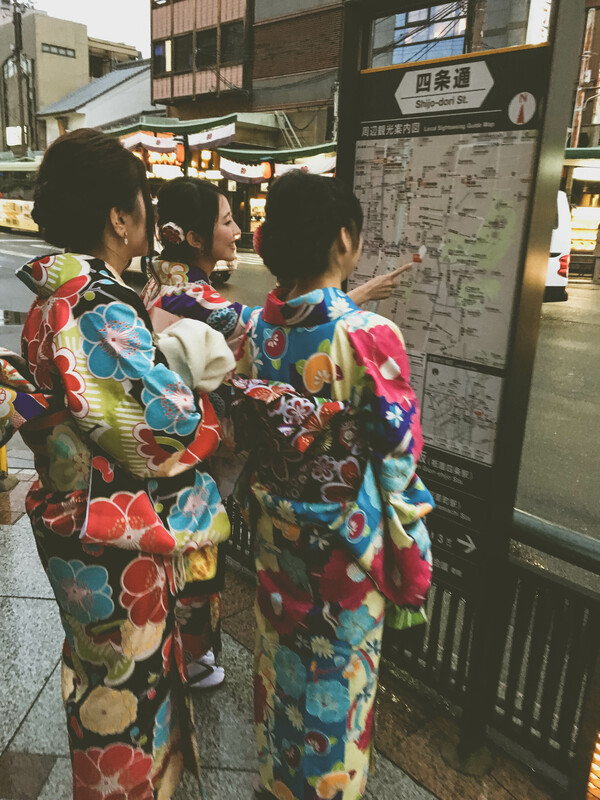 I have to admit that for a minute I I thought they were all Japanese and were wearing beautiful traditional Kimonos on a normal day . 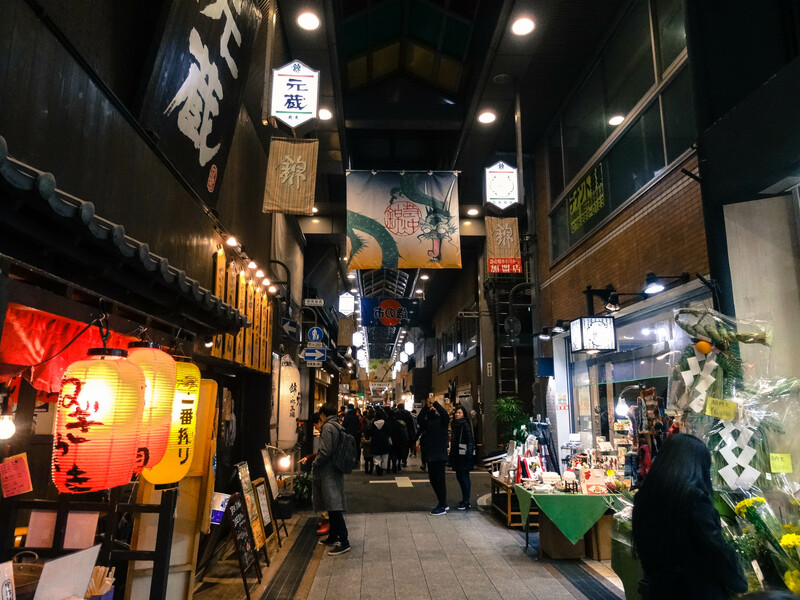 But seeing all of them with duck face snapping the best Instagram picture made me realise that this was- again- not the place where we would meet authentic Japanese people. 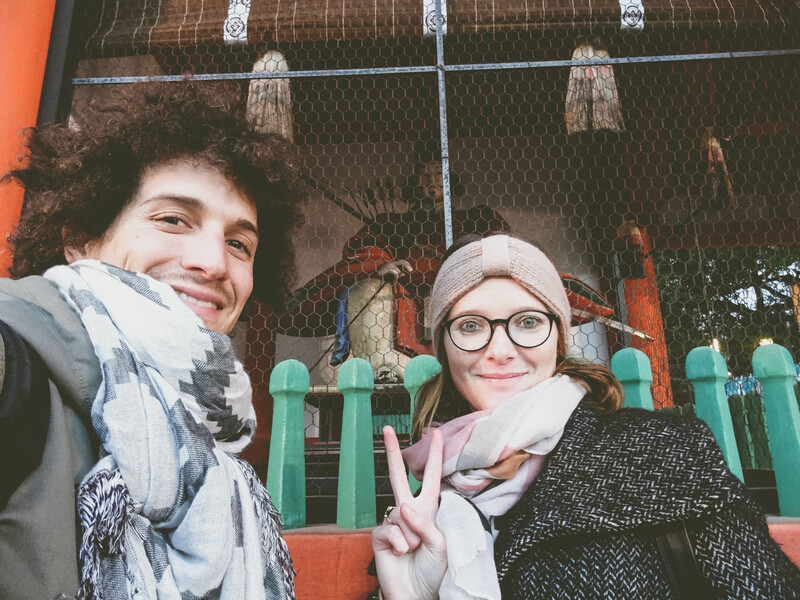 Anyway it was still worth it and we’ve continued our trip down to Kodaiji temple walking through really nice old streets (Sannenzaka) where you can buy traditional ceramics. 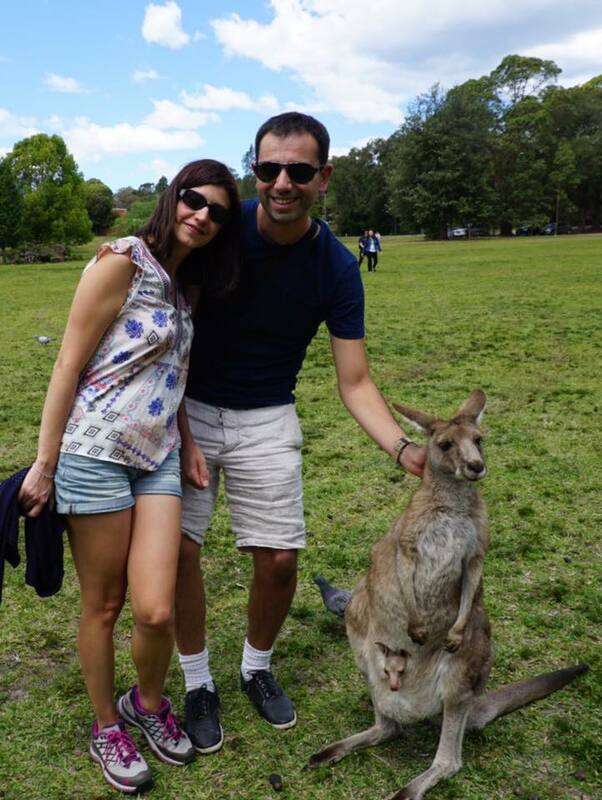 Looked quite traditional but there is no doubt it is for tourists. 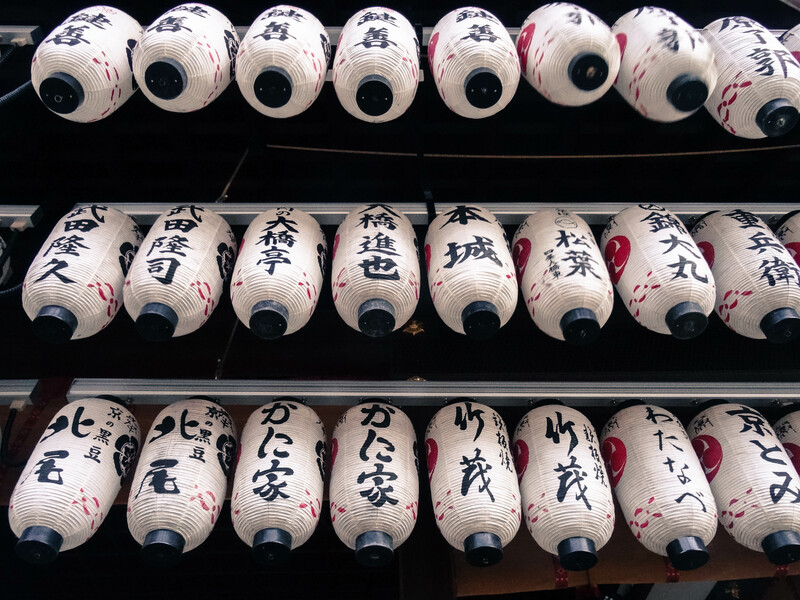 Kodaiji Temple was surprisingly really quiet. 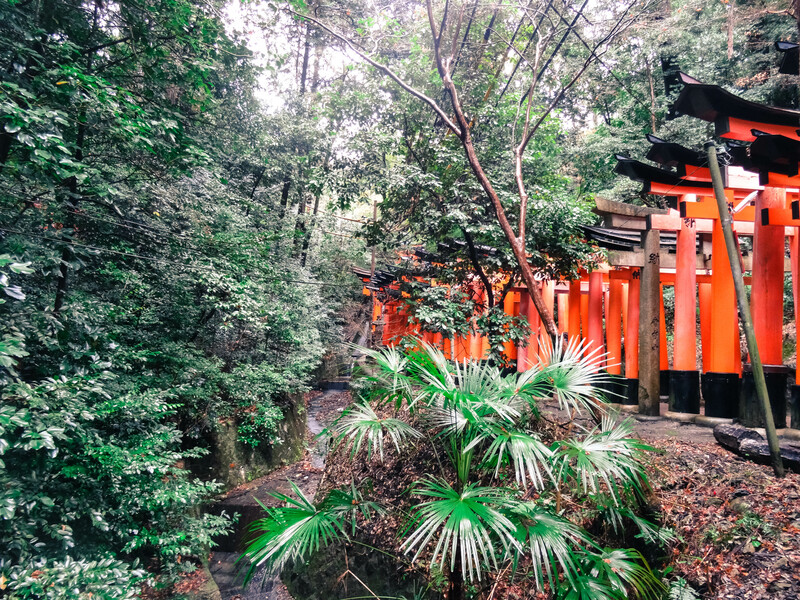 The gardens must be really beautiful during autumn (Cedric if you read this our next trip is already planned, Japan next October!). 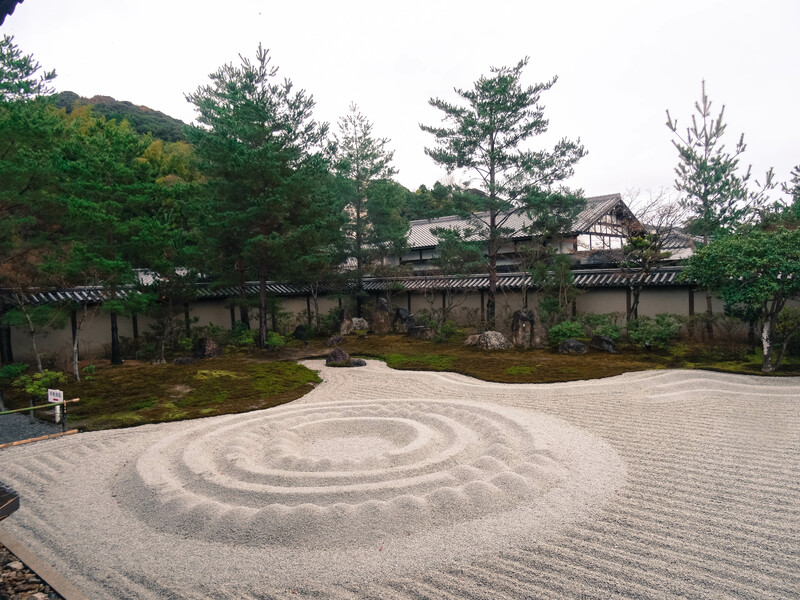 We’ve also discovered what a Zen rock garden was and couldn’t stop thinking about the poor gardener who have had to align all these small rocks every day! 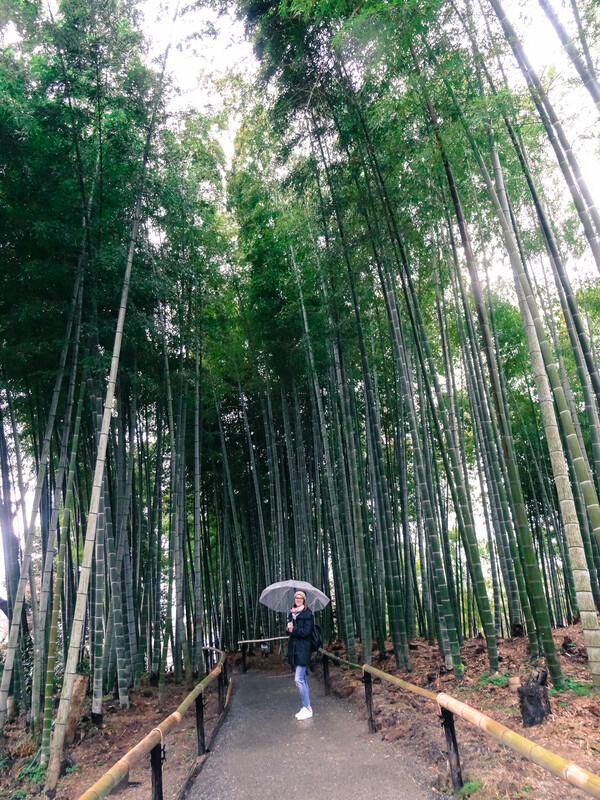 We kept walking ended up in an impressive bamboo forest- Mum the issue you have with your bamboo proliferating into your garden is not material compared to this dense bamboo forest! 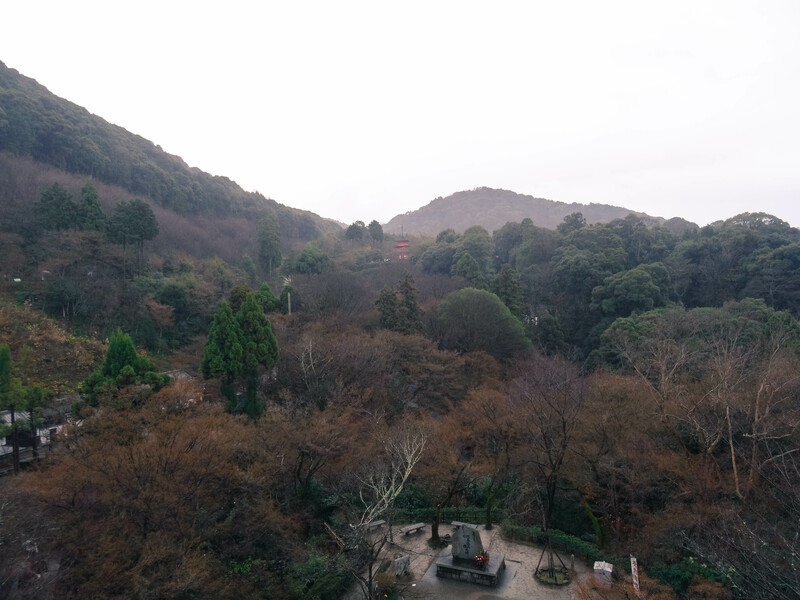 This forest is way more impressive than the Arashiyama one which I don’t recommend by the way as this was infested by tourists and is not authentic at all. 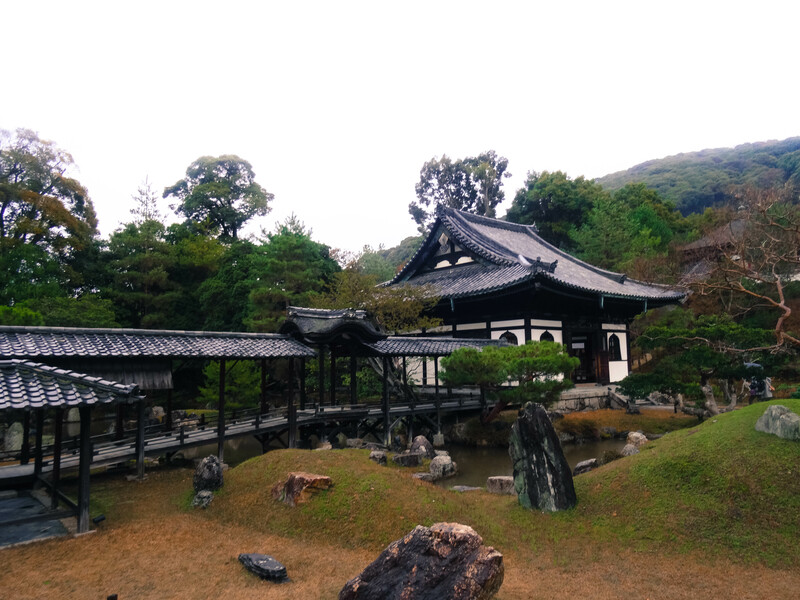 Over the 3 days we’ve also visited Sanjūsangen-dō another Buddhist temple built in the 12th century. Made from wood it’s apparently the longest wood structure in the world. Inside the temple we’ve counted 1,029 statues and around 5,200 arms! (Yes i can be quite obsessed with figures sorry, my background in finance is not helping). 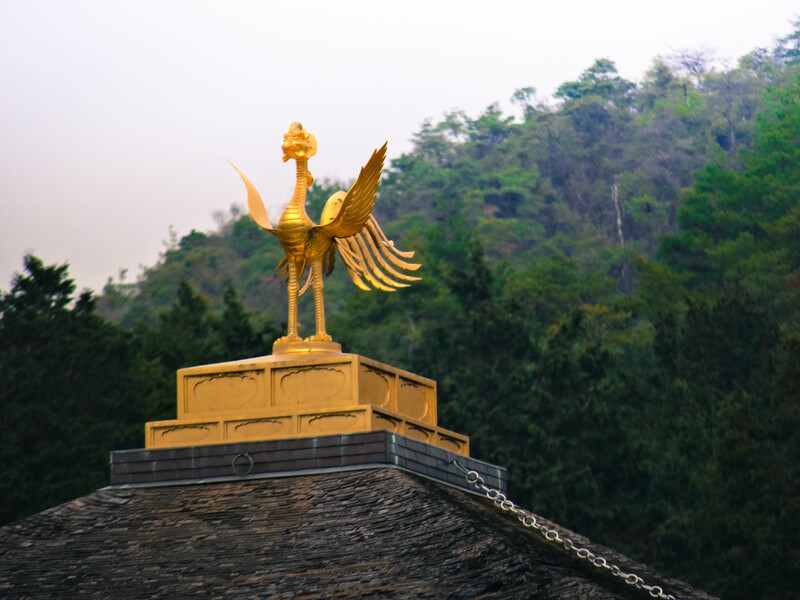 The biggest one represents Kannon and has 1,000 arms. The statue is guarded by an army of 1,000 life-size statues (ready to attack Cedric who hadn’t seen the no photography sign and started taking pictures!). 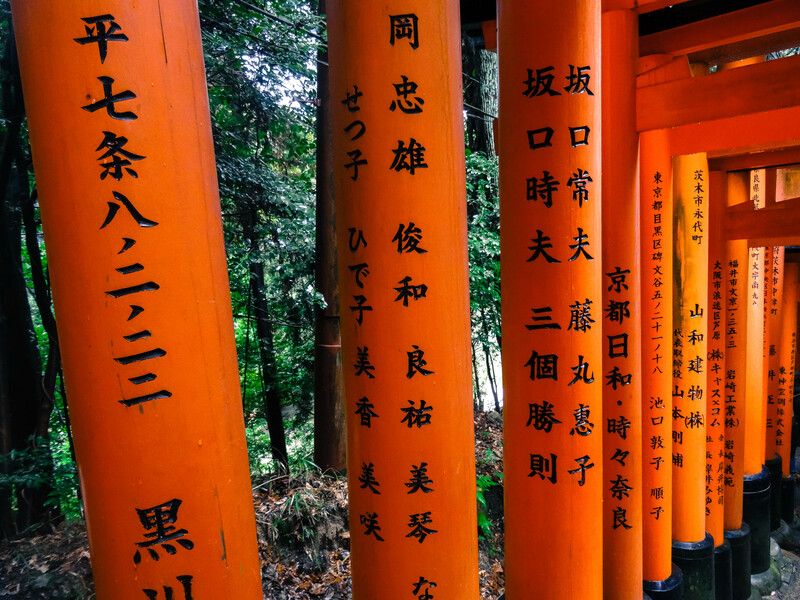 This is a must-do in Kyoto. 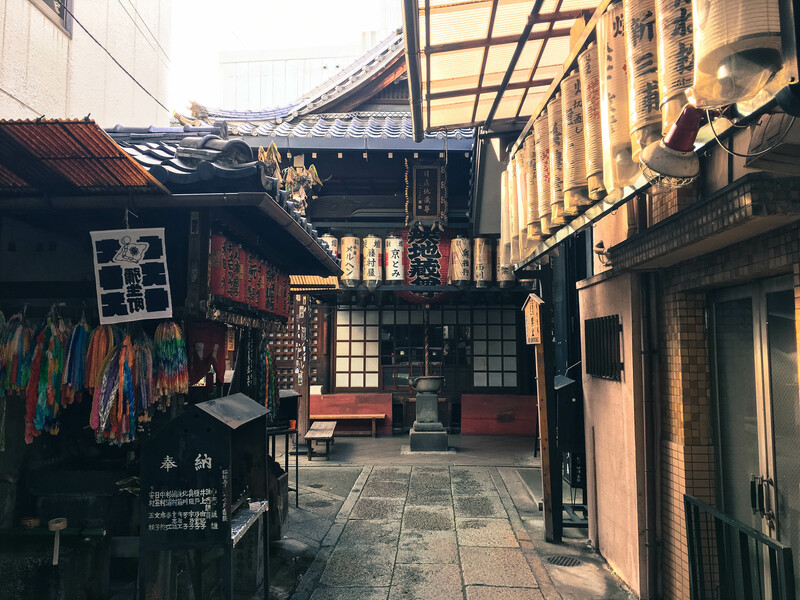 Next to Gion you can also find Yasaka-Jinja (another temple told you had around 2000 temples in Kyoto! ), not as touristy as the others and really nice with the traditional lanterns and big bells to be ring before praying. 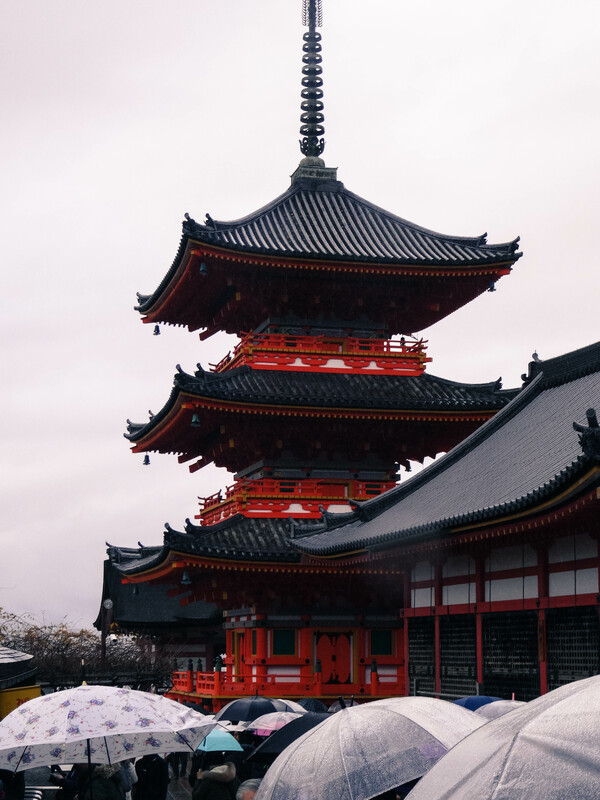 # Most of the temples are connected by buses. Unit price for a ticket is 230yen but you can buy a daily pass for 500 Yen for the city or 1200 including the suburbs. Absolutely love ❤️ your article, video and pictures. 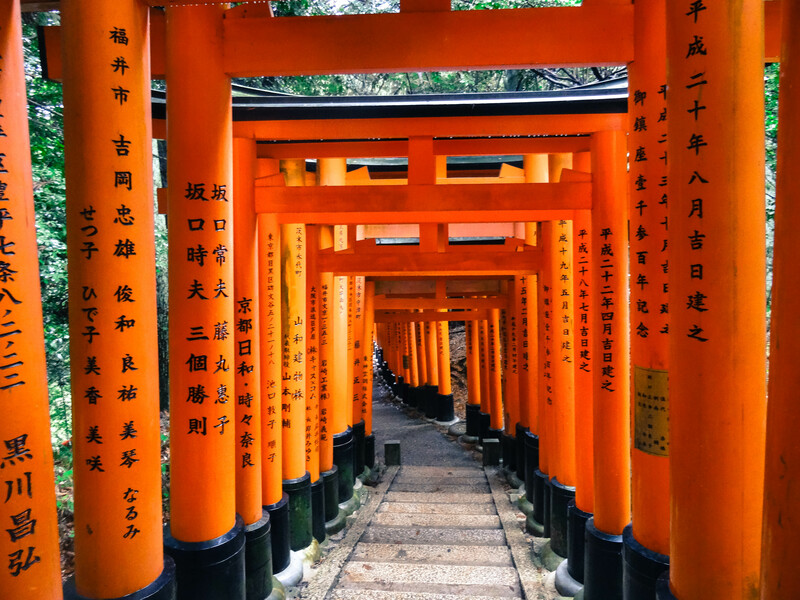 I️ have never been attracted by Japan but I️ have to say, after reading your article it’s definitely somewhere I️ would love to go one day. How long would you recommend to stay there? Was 3 days a good timing? Thanks for the sweet words :) A minimum of 3 days and probably max of 5 days (except if you are obsessed with temples !) 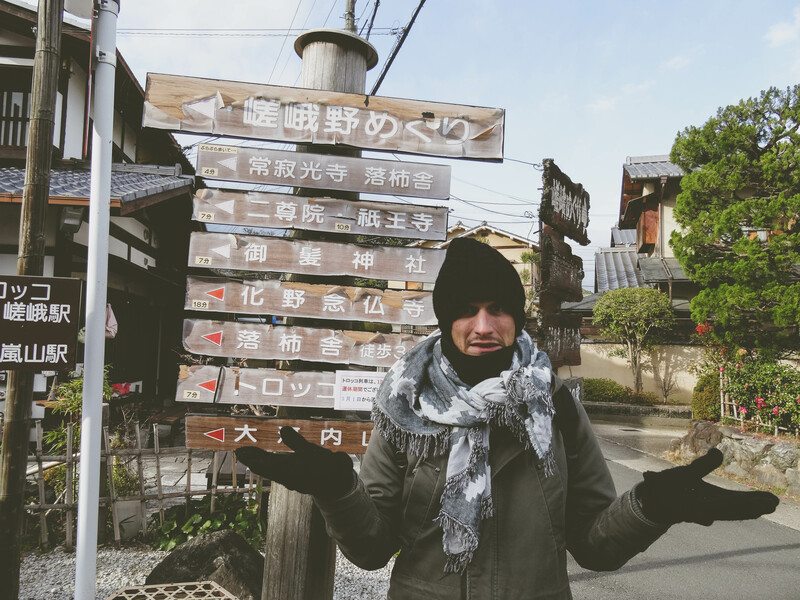 And a total of 2 weeks is the minimum to discover all the contrast japan has to offer!